Sporting a white painted hull, this magnificent Cunard speed queen is portrayed departing New York in the early 1930's for a cruise. Reigning as the world’s fastest liner from 1907 to 1929, she was 790 feet long, 88 feet wide, and powered by steam turbines, quadruple screw. 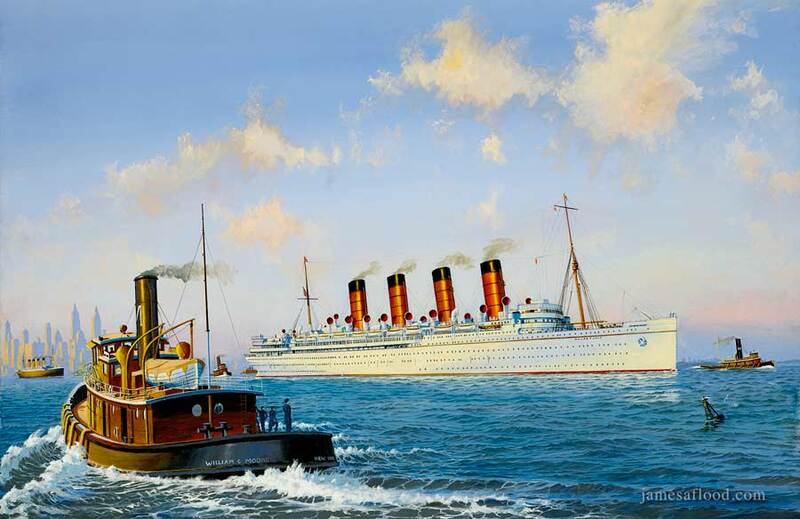 More conservative than the Lusitania, Mauretania was still exquisitely decorated. Commissioned into World War I, she carried more than 10,000 troops through three voyages to the battlefront. In 1934, after a series of mishaps, reconstructions, and bold resurgences, RMS Mauretania was at last removed from service. Learn more about this ship from Jim Flood's second painting of her. Paper Size: 21" x 28.5"
Please contact us by phone or email to make an order. James A. Flood Maritime Art, Inc. is a small business, so we greatly appreciate your patronage. If your order is not to your full satisfaction, please let us know and we will make it right. We pride ourselves on the quality of our fine art products and we want to ensure the integrity of James Flood's work. We accept credit cards over the phone or fax, checks by mail. We accept Mastercard and Visa, as well as most standard credit cards. Your card will not be charged until the day your artwork is shipped. Orders ship via United States Post Office Priority or FedEx. Cost varies based on media size and destination location. Shipping quotes are available prior to setting up an order. We collect sales tax on orders shipped within the U.S. state of Florida. Shipping is free in the continental United States for the Offset Lithographic Prints and Serio-lithographs. For orders shipped to destinations outside of the United States: The recipient of an international shipment may be subject to import taxes, and/or customs duties and fees levied by the destination country. These charges are the responsibility of the recipient. We have no control over these charges, nor can we give an estimate as to what they may be. More information may be obtained by contacting your local customs office. We pride ourselves on the quality of our fine art products. We carefully selected materials that would maximize the life of the product and minimize fading. Read about our materials in our FAQs page. We offer a variety of helpful resources available through our site. 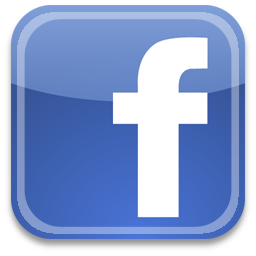 Please visit our FAQs page to see if your question can be answered there. We offer full customer support on all of our art products. Your business is important to us. Please contact us if you have any questions regarding the art or the artist. © James A Flood Maritime Art, Inc 2019 ©. All rights reserved.